Nominations for the commitee close 21st April. Members attending please notify cqswim@cqswim.org.au prior to 8th May (for catering). 07/09/2015 - CQSA Development Grant Applications are open. From Novice swimmers to the swimmer trying to get National Times are all catered for, Great chance to get CQ Champs qualifying times, and just have heaps of fun at the yeppoon swimming complex. Congratulations to the swimmers of the 2014 CQ Regional Relay Teams. 2014 Regional Relay Teams Further information will be forwarded to swimmers soon. Changes have been made to the flyer for Emu Park Novice. Please find the new flyer on our meets section. TM File for Beef City Meet are now uploaded. 27/10/2014 - Liquid Energy Psych sheet is up. The Results TM File for Rocky City Sprints have now been uploaded. The meet Flyer for Tropics is now uploaded. Congratulations to Rocky City Swim Club for a successful Sprint meet on Saturday 27 September 2014. The TM File and Meet flyer for Belyando Shield Clermont Dolphins are not uploaded. There have been a few alterations made to the TM File for Beef City Meet. Please find new file in the Event Section. The Junior Excellence and Youth Development Squad Qualifying Lists have been posted on the CQ Meets Page under CQ JX YPS Development Clinic. Please check to see if your name has been listed. 21/08/2014 - Follow us on Facebook! Good Luck to Alanna Bowles who is to compete at the Pan Pacific Championships on the Gold Coast. The flyer and TM File are now up under the Event pages. 31/07/2014 - Rocky City Program is up. Early reports are coming in and was a great meet, congrats to Sarah Paul and team ....and the results are up under the results tab. The Emu Park Winter Short Course Flyer is now available. 07/06/2014 - Meets are starting to appear. check them out. McDonalds CQ Championship Psych sheets have been uploaded. Good luck to those attending. 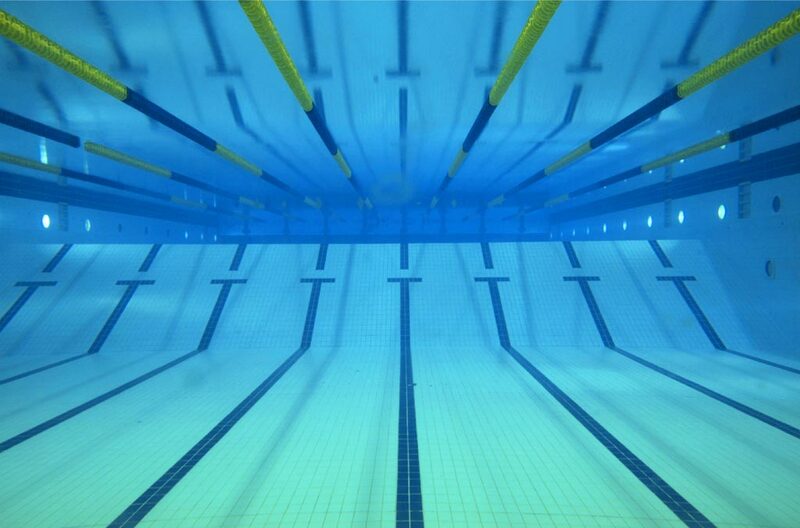 The Psych sheet for the 13&U meet has been uploaded to the website. Some minor errors have been corrected on the new flyer. Dave has just informed me that an error has been found in the TM file for this meet. a new version has just been uploaded. The original flyer is correct though. There has been a new TM file uploaded for the Tieri meet. Apparently there are some errors in the old one. The Psych sheet for liquid energy has been uploaded . I have just been informed of Greg's Funeral. The funeral will be held at 11.00 am on Thursday, 31 October, at Our Lady and St Dympna Church - 479 Robinson Rd, Aspley. Following our sad news yesterday, I would like to inform you all that Johns Funeral will be held at 10:am on Tuesday the 22nd October at the Boyne crematorium. The TM Nomination file for the Tropic of Capricorn swim meet has been uploaded. Just a reminder that the Noms for West meet close this Saturday. A new flyer has been uploaded for the Rocky City SC Meet. Unfortunately due to the high costs of running this meet at the new Aquatic facility, this meet had to be changed to the CQUniversity pool. See CQ Events for information regarding this event. We wish all our swimmer all the very best as they head off to Age Nationals. I know you and your coaches have worked very hard to make this event and that you will all do our region very proud. A correct version of the results from the Outback Oasis meet has been uploaded for your information. Due to current weather conditions and forecast conditions Gladstone have decided to cancel their swim meet this weekend. All details for the Springsure Carnival have been uploaded. The psych sheets for the McDonalds CQ Sprint Meet have been uploaded to the web site. The Flyers for CQ Sprints and Harbour city have been loaded to the site. A new TM file has been uploaded for the Hancock Coal Meet at Alpha. Apparently there was an error in the swim up Date in the previous version. Final Regional Relay teams have been announced. Information on improvements for next year and information for those selected this year is included. Please see under Development and Teams. You will find the draft regional relay team selections under Development then Teams. Good luck to those swimmers selected. Alanna Bowles has taken the Silver medal in the world cup meet in Singapore in a time of 8:22.70. She is doing our whole region proud and a job well done to her coach Shane Kingston. 05/11/2012 - Psych Sheet for Tropics is Posted!!! Psych sheet for the Tropic of Capricorn swim meet is posted. Please click here to download it. There was an error on the Tropics flyer as regard to the statrting time. Should have read gates open at 8am , start time at 9am. This has been corrected and the new flyer uploaded. The Psych sheets for the Liquid Energy swim meet in Gladstone has been added to the site for those interested. The Psych sheets for the Trend interior novice meet has been added to the site. Don't foreget to wear Red for Daniel at this meet. An amended flyer for the Tropic of capricorn meet has been uploaded. Some additional information regarding prize money has been added. An amended flyer for the Beef City meet has been uploaded. The venue has been confirmed to be at the RGS pool. An Amended flyer for the Trend Interiors Novice meet has been uploaded. Copies of theMinutes for the AGM and GM following have been uploaded. The Results from Emu Park Novice meet have been uploaded. 06/02/2012 - Henry Taylor Crowned " Great Northerner"
A revised meet flyer has been uploaded. Some clubs have been posted a flyer that doesn't include the Development levy. The Flyer for CQ Championships has been uploaded. Check out the Calender for details. Emu Park have stepped up to the plate to take on the Novice meet cancelled by Gracemere. This will be the first time Emu Park have held a swim meet and I praize them for taking on the challenge. The Team Manager Event file has been uploaded to the CQ Sprint Meet page. Pleace contact Terry Phelan on 0409 332982 if you are having any issues with this file. Australian swimming has named the Caribeae Australias swim Club of the year. Congratulations on a job well done. I have attached the Morning bulletin artical . The results for the Tropic of capricorn meet have been posted. There has been an error discovered in the Flyer for Moura. The updated Flyer and TM file has been posted. Results for the Clermont Dolphins Belyando Shield have been uploaded. The results files for the Trend Interior Novice Meet have now been posted on this site both in the results area and on the calandar. The Emerald seals will be holding their annual swim meet at Capella on the 18th February 2012 due to the pending redevelopment of the Emerald Aquatic Centre. The results from the western suburbs meet have been uploaded. The minutes of the October Management commitee meetting have been uploaded under the Documents tab. The results from the Beef city meet have been uploaded. You will find them on the Calendar. A big welcome to coach Greg Rogers, who has taken up the postion of coaching the Yeppoon club. We all hope you and your family enjoy your new life in CQ. Central Queensland Regional Swimming Association Incorporated. 25/08/2011 - Clubs should advise office bearers for the coming season asap. Please click here to read the complete article on swimming world. 23/12/2010 - Congratulations to all CQ Swimmers on their efforts at 2010 State Championships.